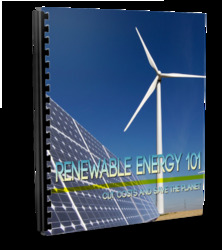 As outlined above, the standard wind turbine has a vertical rotor attached to a horizontal shaft. This arrangement imposes certain restrictions on the wind turbine design. With a horizontal shaft, the rotor turns in a vertical plane and must be raised on a tower so that the blades are clear of the ground and of the turbulent layer of air next to it. Gearbox and generator are attached directly to the turbine shaft so these, too, must be placed on the tower, high above ground. This raises the cost of both installation and maintenance. And a horizontal axis machine must include a yawing system so that the rotor and nacelle can be rotated as the wind direction changes. 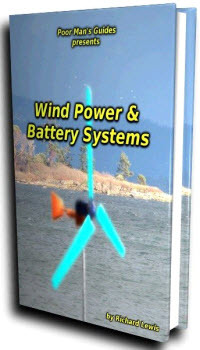 There is an alternative, a vertical axis wind turbine. A vertical axis machine has all its weight supported by a ground-level bearing. Both gearbox and generator can also be placed on the ground, easing maintenance costs. And most designs for vertical axis wind turbines will operate with the wind blowing from any direction. A yawing system is unnecessary. Several vertical axis designs have been tested in the past 30 years. 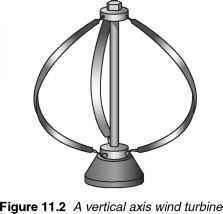 The most exhaustively explored was the Darrieus wind turbine which is based on a design patented by a French engineer, G.J.M. Darrieus, in 1931. 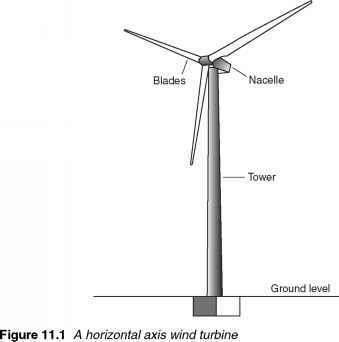 Often described as the eggbeater, this wind turbine design comprises a pair of thin, curved blades with an aerofoil cross section attached to a vertical shaft and looking very much like an eggbeater. have included various pilot projects, a commercial machine and a prototype with an output of over 1 MW, developed in Canada. Other types of vertical axis turbine have also been built, including one with an H-shaped rotor which was operated at a test site in Wales. However the vertical configuration has not yet achieved significant commercial success. How to convert vertical power of shaft into horizontal?